The United States has numerous ways to enforce responsible gambling and ensure the prevention of underage gambling and while states vary in minimum age requirements per gambling type these procedures are typically standard for the entire US. Minimum gambling ages and their enforcing regulations are intended to protect young individuals from harm and addiction caused by premature exposure to gambling. The National Council on Problem Gambling continuously updates and releases its code of best practices for responsible gaming which set a minimum standard for other gambling businesses to follow and build atop of. Several agencies such as the American Gaming Association, have offered extensive research and analysis to provide gambling businesses with valuable information and insights into implementing the best methods possible. Some states have even stepped in and proactively promoted responsible gaming campaigns via their gaming division or department, as well as, provided physical procedural training, created self-exclusion programs, and consulted with experts in the field. Brick and mortar casinos must bear the grunt of responsibility as a deterrent as they are required to train their employees to spot underage gamblers, monitor for suspicious activity, and identify minors on the game floor. In certain states, casinos are tasked with instilling financial restrictions and placing signs to deter underage gambling throughout their venue. Other physical gaming venues such as casinos, racetracks, and off-site betting facilities employ tools such as randomized checks, player screening, and on-the-floor inquiries concerning proof of identification. All these age verification procedures enable complete compliance with US state gambling laws. Other deterring methods include seizing gambling winnings from underage gamblers, confiscating fake IDs, and calling local law enforcement and gaming agents to properly handle underage gambling. In select states, individuals must be 21 to participate in casino gambling, this usually occurs in states where casinos may also serve liquor in which they utilize these policies to reduce underage drinking opportunities, as well as, underage gambling. Staff members are trained by these 21 and over casinos to card any individuals that appear under the age of 30 to ensure their compliance with local state gambling laws. According to the American Gaming Association, underage gamblers should be restricted from accessing gambling in a casino, online, through a mobile, in-room, or even found loitering on a casino floor. Preventative policies should be uniformly applied to and enforced within a venue and online. Renowned casinos have their own internal casino codes which are duplicated across every brand location. One major reason corporations have pushed responsible gaming is due to a shocking statistic which reveals between 2-7% of young Americans develop a gambling disorder due to increased risk factors associated with adolescence. However, as we move closer as a society toward online usage families and those with children fear that children may become exposed to gambling early on through the internet and are at risk of equally endangering themselves online as they would at a physical location. The issue mainly lies within the ease of anonymity that comes with the internet, which requires advanced security protocols and age verification tools that work similarly in concept to brick and mortar age verification solutions but applicable in an online setting. US online prevention measures include the use of educational excerpts, quick access to help hotlines and gambling treatment facilities, and flexible self-exclusion programs that can freeze account access for a 12-hour period up to 6 months. Online operators and company stakeholders, as well as, regulators must consult with online gambling experts to determine the best practices to avoid underage gambling and what appropriate repercussions should be placed on individuals caught violating these practices on the player and business end. 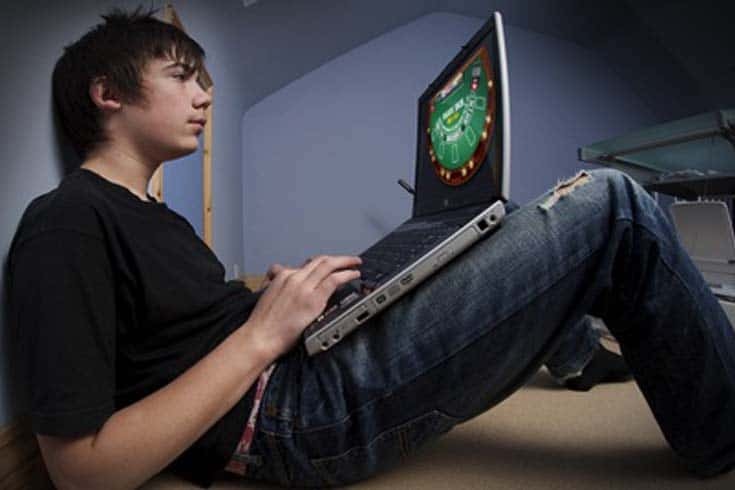 Online gambling sites are required to have built-in age verification measures to prevent underage access to gaming. These built-in verifications usually appear once individuals attempt to make an account online. As part of the registration process, individuals are required to provide their full legal name, date of birth, and address. Furthermore, to verify the individuals identify some online casinos require a copy of the account holder’s drivers license and further documentation proving their identity. Usually, this verification process is operated by a third-party entity. In fact, in states like Delaware, New Jersey, and Nevada, Geo-targeting is used to verify where players are in respect to state lines and online gambling access. However, some online features do have issues just as physical procedures do, therefore, it is unlikely one model for age verification will work for every state and their legal gambling offers. Nonetheless, the subject of responsible gaming, underage gambling prevention, and age verification go well beyond just the concerns of child protection – these principals establish a solid foundation for good business practices.